Fluid Drain - In a simple draining of old transmission fluid, a drain plug in the transmission is removed, and the fluid is allowed to flow out and accumulate in a pan. Although this process makes it possible to remove the majority of the older fluid, it does not thoroughly cleanse the system. The result is that there still is a bit of older fluid and residue in the system. When this is the case, the old fluid will mix with the new fluid, which might reduce the effectiveness of the new fluid. Full Flush - With a transmission flush, more of the old fluid is removed, and the overall transmission system is cleansed. This means that there is less residue to contaminate and weaken the new fluid. In some cases, a special transmission flush fluid is used to help clean the system before the new transmission fluid is added. The presence of fresh transmission fluid means that less stress is placed on the transmission itself, which can prolong the life of the transmission. Some people believe that a transmission flush might blow out the valves and seals on the transmission, but this is possible only when high pressure is used to force fluid backward through the transmission system. 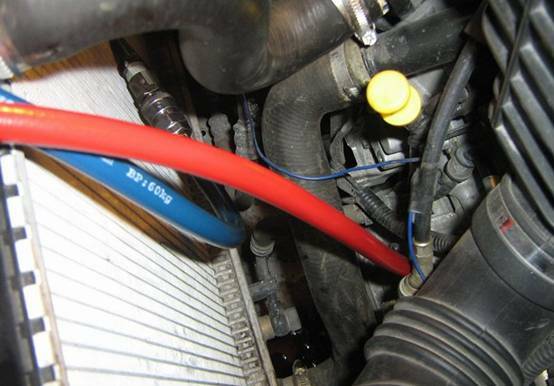 In most cases, however, a transmission flush does not rely on pressure to flush out the residue of the old fluid. Instead, the transmission's pump is used to gently introduce the new fluid into the system.